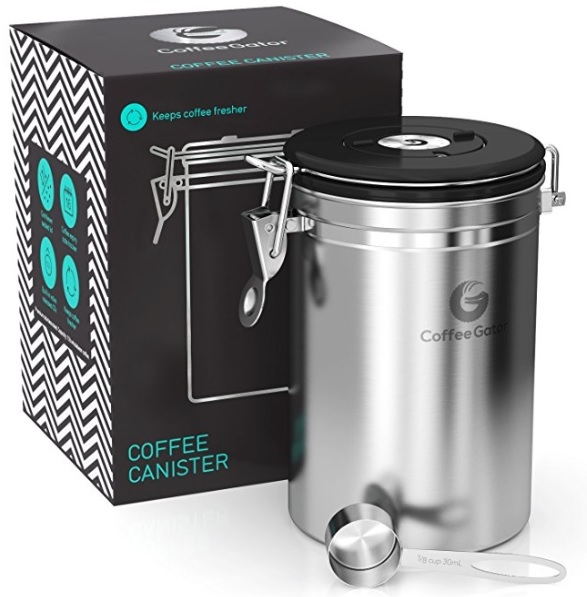 This is a review of the Coffee Gator Coffee Canister. 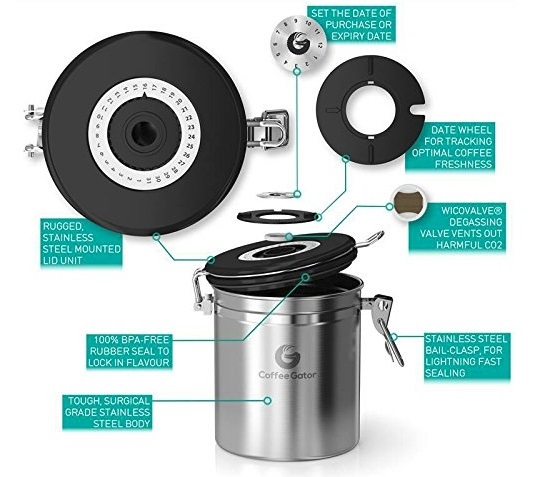 It’s a coffee vault that has a degassing valve and is quick sealing. It’s a canister that will look fantastic on your counter, too. There are a variety of colors and sizes for everyone. 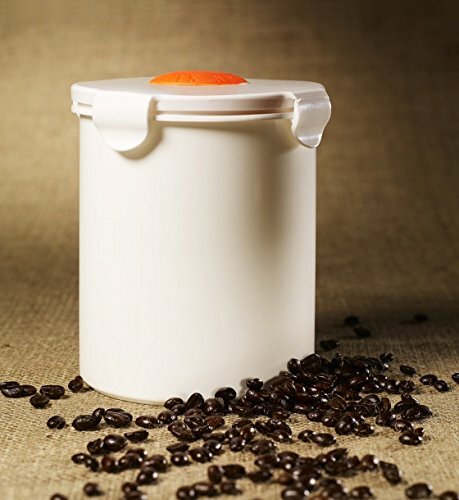 With all the features available along with the great colors, this canister is a good choice for your beans or grind. The biggest destroyer of flavor for roasted beans is the CO2 that it emits. When you seal the beans into a container, the beans continue to emit the gas. That gas saps the flavor of the beans. 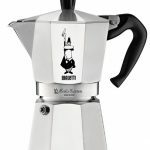 In fact, most professional coffee brewers will tell you that the CO2 emitted from your roasted beans should be allowed to vent for a few days before it is even brewed into your favorite cup. The container comes in more than stainless steel silver. There’s a dark gray, blue, green, orange, red and even a pink container. 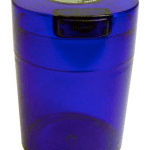 The outside of the container can be shiny or matte depending on the color you choose. You can base it on your kitchen colors, or pick a contrasting color for some drama. We recommend that you consider how many beans you’ll roast or grind to ensure that you don’t have a ton of extra space in the container. 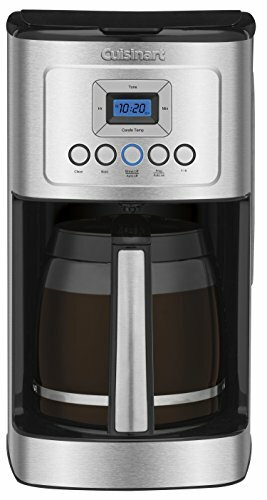 You can keep track of the exact date when you’ll need to use the beans or grind by. 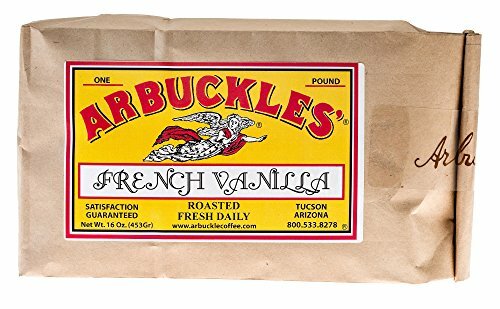 It’ll never be a guessing game to remember the exact day when you roasted the beans. Instantly, you’ll be able to see the exact use by date. The stainless steel container won’t break or get ruined if it accidentally falls or gets knocked over. That’s a concern if you have children in the home. Your significant other might not be as careful as you’d like, either. You might even be a bit clumsy. That’s never a problem with the container. It has a lid mounted directly to the container, too. It’ll never get lost or separated from the container. Does the container have any pieces with BPA? BPA is often used in hard plastic, but the company doesn’t use BPA in their containers. Can the container be kept in the refrigerator? 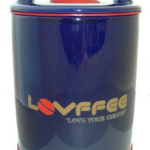 The container can definitely be kept in the fridge because it’s a durable stainless steel. It’s not recommended that you keep coffee in the fridge, though. It alters the taste by causing condensation and moisture. 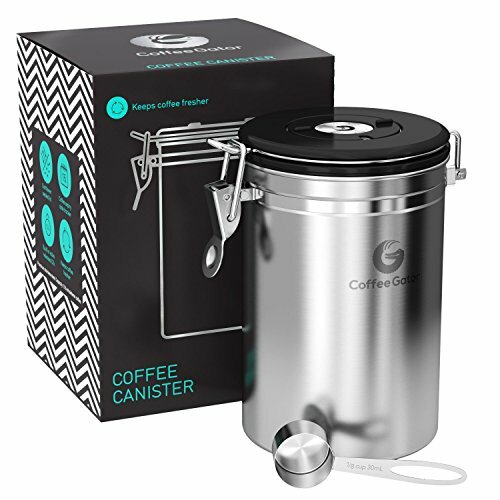 Should the canister be used for beans or grind? It can be used for either one. 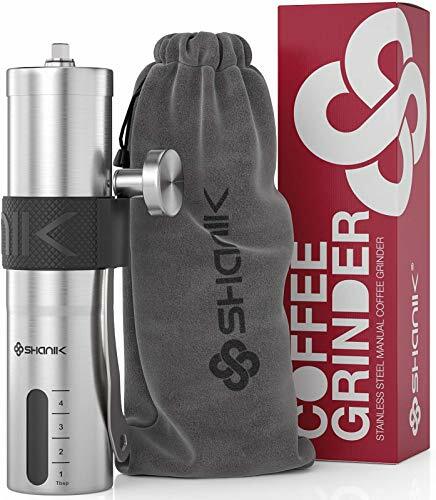 Choose whether you want to use it for beans or grind at one time, though. The two shouldn’t be mixed. 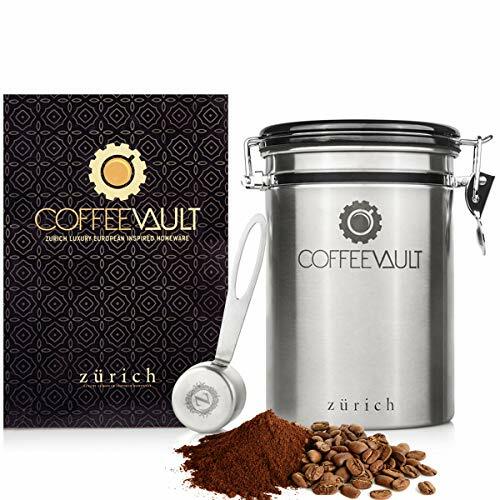 This Coffee Gator Coffee Canister is a great coffee vault for keeping your beans fresh while allowing the gasses to be released properly. It can be used for grind, too. The choice is up to you, but you’ll be happy with how fresh your coffee is for beans and grind.